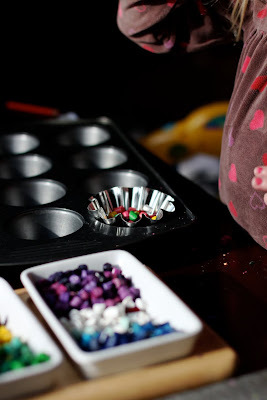 Here' s week two of the holiday Giving Guide: happy creating! 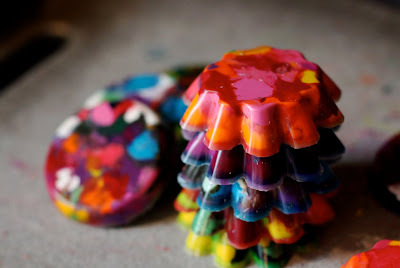 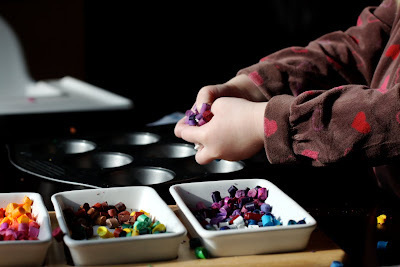 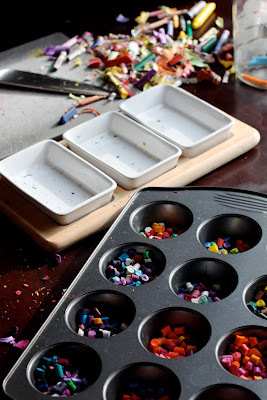 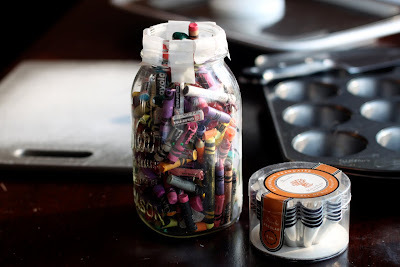 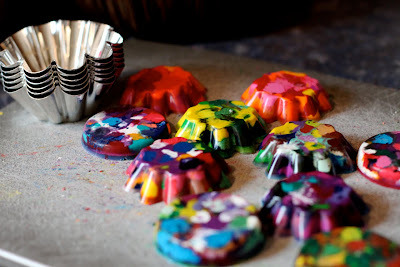 then put pieces in your molds- whether muffin tins (which make round crayons), or other metal molds you have, fill roughly an inch high or less. 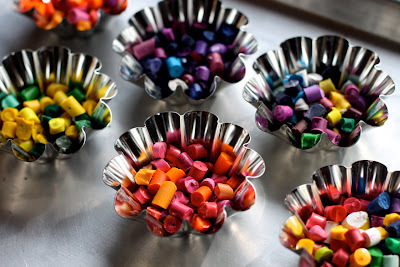 We did some "assorted" ones and others were a particular color scheme. 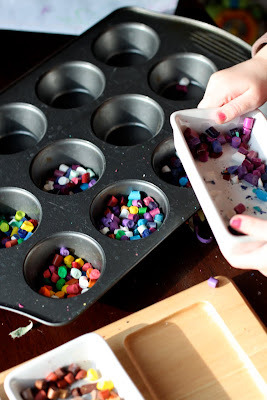 I broke out my new brioche tins, which, needless to say, haven't been used since I got them two birthdays ago. 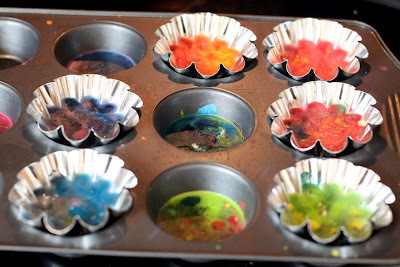 Bake the muffin tin (or individual molds on a cookie sheet) on 170 degrees until the wax is melted down to liquid state, about 20-30 minutes or so. 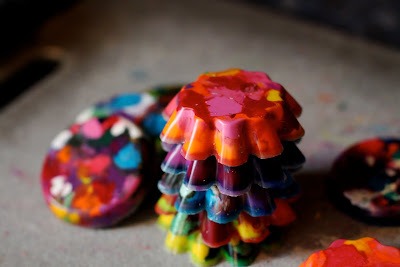 Pull them out to let them set a bit and then into the freezer to make it easier for them to pop out of the molds. 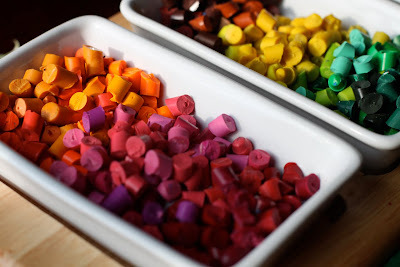 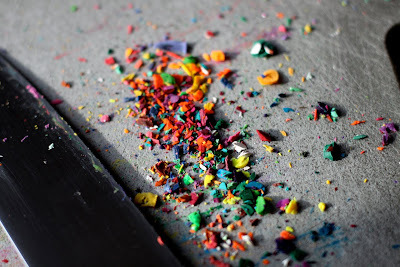 Resilient, gorgeous, colors in chunky crayon-form is the end result. 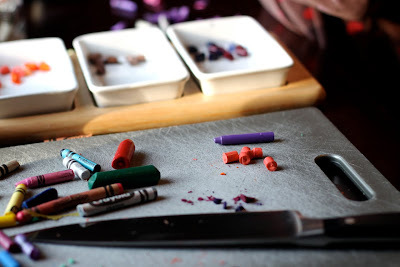 Depending on how you hold the crayon when coloring delivers totally different colors on the paper. 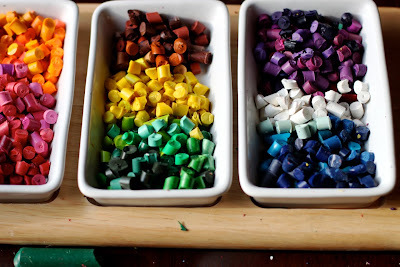 They're so colorful you'll wish you could eat them--at least Johanna tried.